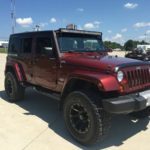 Today (August 27th, 2016), we have listed 9 new 2009 Jeep Wrangler ads to our site. These listings span 4 different states and 4 trims. 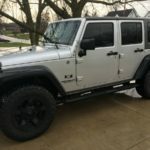 2009 Jeep Wrangler Unlimited Sahara 73k miles Hard and soft top Less than 1000 miles on the following lift, tires, and wheels.:…. 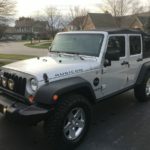 Remote Link Disconnect Automatic Transmission Clean with no accidents……..
Decided to part with my jeep, its pretty basic as far as jeeps go. Cloth seat that are in great condition, no stains or tears anywhere honestly theres barely any wear on them at all they had covers……. This entry was posted on Saturday, August 27th, 2016 at 4:38 am	and is filed under Illinois, Indiana, Michigan, Minnesota. You can follow any responses to this entry through the RSS 2.0 feed. Both comments and pings are currently closed.